It’s almost “too obvious” of a relationship. The King of Clean joining forces with PGA Tour caddies. After all, who is cleaning the player’s clubs? Raking the bunkers? Providing a vital support role in the background? 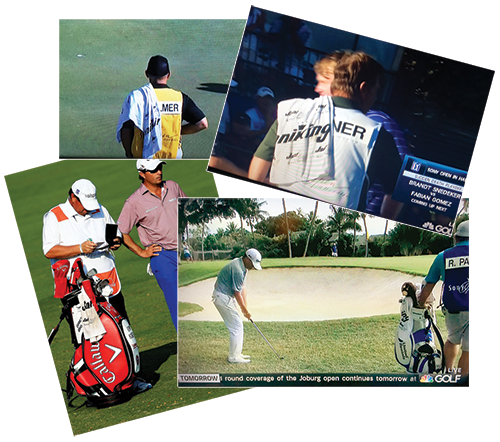 Jani-King enters 2016 as the Official Cleaning Company of the Association of Professional Tour Caddies (APTC). It is a trial partnership featuring a group of caddies that, if proven successful, could expand to 60+ in 2017. At least 10 caddies will be carrying Jani-King branded towels, and three others will be wearing the Jani-King logo on apparel. Pro-Ams are a staple of non-tournament days every week on the PGA Tour. Players and caddies are constantly networking with business leaders and people who could be Jani-King franchisees or customers. The caddie towel is their most visible “tool of the trade” and Jani-King’s branding will be strong. Biggs believes over time, people will start taking notice of just how often Jani-King appears on television and other media outlets. In the first full field event of 2015, the Sony Open in Hawaii, Jani-King had a combined brand presence of 12 players/caddies in the field. 10 made the cut and five finished in the top 13, including the red-hot Kevin Kisner who leads the FedEx Cup standings and has moved up to 14th in the Official World Golf Rankings. Ten of the caddies work for players ranked in the top 75 of the most current world rankings. In addition to the logo exposure, several of caddies will be featured in a new advertising campaign consisting of video, print and social media components. You can follow the goings on of this caddie partnership on Twitter at @JaniKingTowel.